I took the photo in Ventura, California. I put it on a plate when we got in the car. 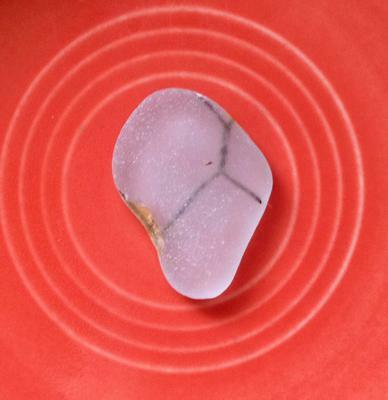 It was so neat to see such a unique piece of seaglass. I truthfully had never seen anything like it in person so far yet. It was about mid-May, later afternoon, about an hour before the peak of low tide in Ventura. It was truthfully, a very lovely day. I love how you can see the full contrast of the metal within the glass with the plate cool behind it, I believe it brings out the rust on the sides even more. Oh, I just used my iPhone. I'm not much of a photographer....I am though in love with seaglass and the ocean. Click here to see all the submissions to the Odyssey Sea Glass Online Digital Photo contests. Not sea glass but what is it? Glass Shard from Myrtle Beach - ID? 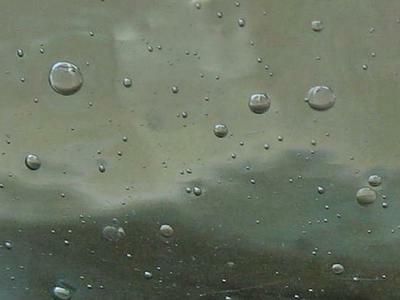 Water, Sand and Air Bubble? 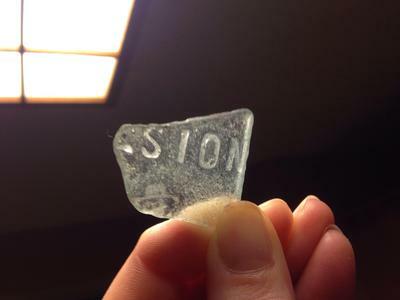 Inclusion in a piece of seaglass? Your find is very nice. 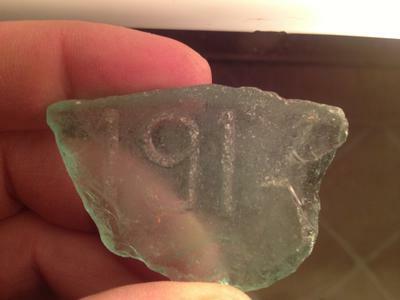 This glass came from safety glass windows that were in factories and in some office buildings. 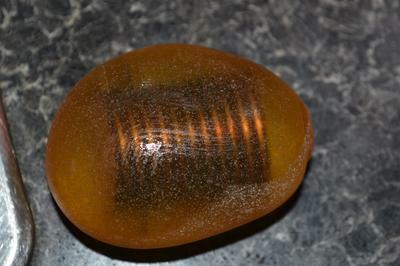 I live in Wisconsin by Lake Michigan and almost every time I go hunting for beach glass I find at least one piece of this glass with wire in it. A lot of it must have been dumped into the lake years ago, and it is now washing ashore for people to find. 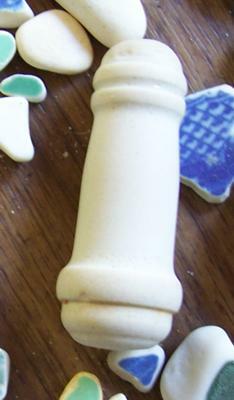 Most of the pieces I find are small but I do have a few that are about 2 inches long. In any case, enjoy your special find and good luck in your future searches.